flammable nature of MP®-1000/MultiPro® conforms to non-combustible when tested in accordance with European Building Classification EN 13501-1: Class A1, BS 476: Part 4, JIS A 1312 and AS/NZS 1530.1. The board has good thermal insulation and resists to continuous operating temperature up to 100°C. A MP®-1000/MultiPro steel framed partition is capable to provide 120 minutes fire resistant period. MP®-1000/MultiPro® is an European CE marked building board and conforms to durability tests BS EN 12467- Category C sheet, which is intended for applications subject to heat and moisture. Unlike most wood based panels, gypsum plasterboards or magnesium silicate boards, MultiPro®/MP®-1000 is durable and immune to insects and vermin, unaffected by dilute chemicals. It is dimensionally stable and will not warp, swell or decay in wet area. Also an ideal economical building board material with good thermal and acoustic properties replaces conventional non-loadbearing masonry block wall constructions. exposed to fire or humid environments. MP®-1000/MultiPro® contains no water soluble additives and will not rot, degrade or deteriorate. The fibre-reinforced calcium silicate matrix will absorb water causing some loss of strength, which is fully recovered on drying. Any staining on the board caused by leakage can be easily painted over. Moisture will not cause leaching or efflorescence and has no permanent effect on MP®-1000/MultiPro®. It is simple to work with and easy to decorate. 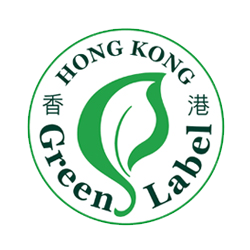 MP®-1000/MultiPro® is manufactured to Quality Management System Certification ISO 9001, Environmental Management System Certification ISO 14001, Hong Kong Green Label as well as Singapore Green Label. MP®-1000/MultiPro® is eco-friendly CE Marked and non-combustible calcium silicate matrix board to EN 13501-1: Class A1. It has superior fire resistance performance and excellent dimensional stability subject to heat or severe moisture environments. All physical performance values of products depicted in this technical handbook are averages based on the standard production. The figures may be changed dependent on the test method used.